This thanksgiving we are staying home so its just going to be the 4 of us. I really don’t mind because at Christmas is going to be a full house! So this might look like a lot for 4 people but I want left overs and I want to make it a little more special than just a regular dinner. So here is what I am making. 1. I am just going with a very large turkey breast. we all love the white meat the most so i thought it would be easier to cook. i am going to soak it in a brind over night. 5. roasted carrots - this is a recipe from the pioneer woman... they look amazing! 7. cold pea salad.. because I love peas and this salad is really yummy! Its my grandma marys recipe. 9. sweet roasted rosemary acorn squash. This is another pioneer woman recipes. i love squash but jackson and scott don't like it as much. thats why i am making the carrots. 10. old fashioned green bean casserole. 12. one old fashioned chocolate pie. I am not making huge amounts of anything. probably enough for thanksgiving dinner and one night of left overs. I am going to take some help from the store on this one. I can make a great dinner with some of the convenience the store has to offer. 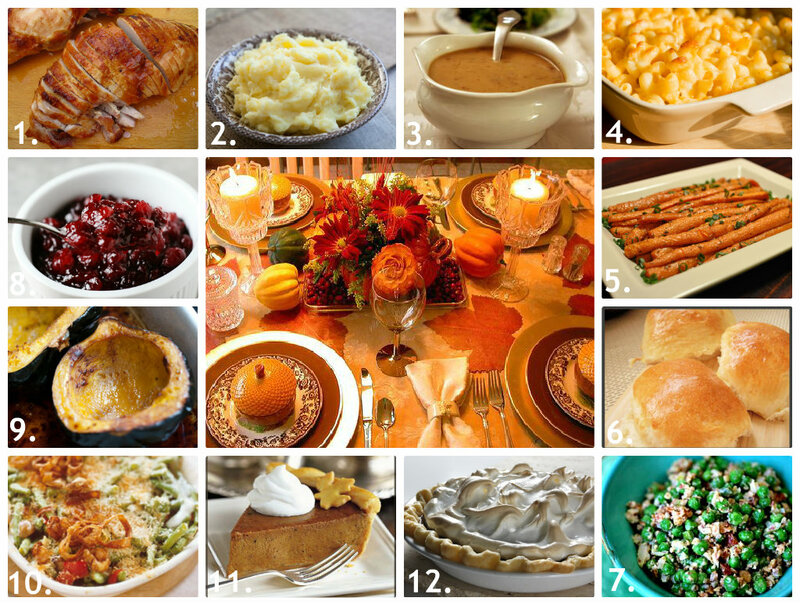 What are you making for thanksgiving dinner? Can't wait to sit down to a very beautiful meal and reflect on all we have to be thankful for.